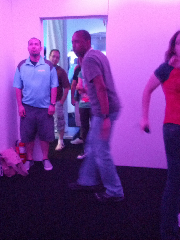 I was invited to the Nintendo Experience for hands on game play to the successor of the Nintendo Wii. I brought my 10 year old cousin as a guest because he will have a great what did you do over the summer story to tell. 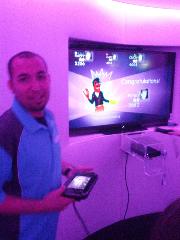 I was pretty impressed by the playback and in improved control. Games are finally in HD. 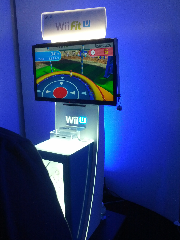 I played New Super Mario Bros U, Luigi's Mansion, Rayman Legends and Just Dance 4. 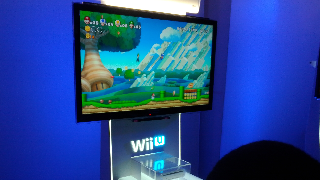 There was a little bit of stutter in New Super Mario Bros U with 4 players connected. 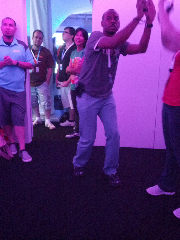 I'm hoping this was just a bug in the demo unit. 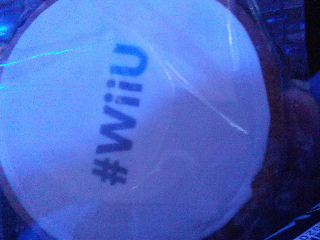 Hopefully Nintendo can work out the I/O or processing hiccup. 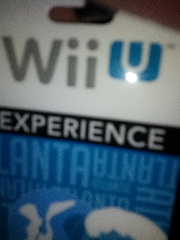 Overall I'm really excited because up until now I thought the Wii U would be underwhelming after I saw the E3 Keynote. I sent Nintendo a social message blast to go back to the drawing board.